The Finance Department tracks the lifeblood of the business and as such has certain requirements. This presentation is inspired by four books which contain powerful, transformative ideas. 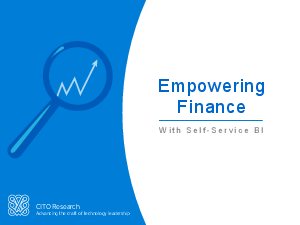 By selecting principles from each book, a theory of how self service BI empowers finance, has been developed.